Choosing a game of the year has been particularly difficult for me this year. This is not because of the vast number of quality titles that have been released, but rather because I have spent most of the year playing a game released in 2011. Sadly, my Dark Calls guide, David Turner told me that I'm not allowed to choose Dark Souls for my game of the year. Consequently, I've had to have a rethink about what else has come close to the fun I had with my first Souls game. Whilst a number of the games I've played have been enjoyable, with a special mention going to Super Mario Maker, there's only one other game that has come close to matching my enjoyment of Dark Souls. That game is Fallout 4. 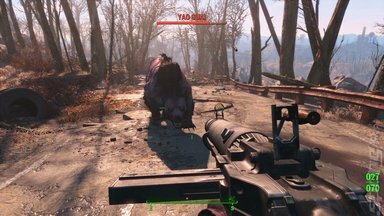 Fallout 4 is not an indie game darling. A lot of money has been spent in its construction. It's not a single developer's attempt to communicate a personal message to the gaming populace. In a way this is what makes the game even more remarkable. There is a singular vision here, a (mostly) coherent depiction of an alternative earth, one where humans took leave of their senses and decided to try and completely destroy each other. As a survivor, I had the opportunity to define what would rise from the wreckage of that decision. Not through the Bethesda-defined story, but through the things I decided to prioritise and the people I made the choice to interact with. For me, the draw of Fallout 4 was creating my own story in the wasteland, of building my own settlements, watching them grow and choosing to either protect them or let them fall. The singular vision here is therefore one of choice. Naturally, this falls within defined barriers, as with real life. However, I can't think of anything quite as seductive as being given the choice to decide what kind of a person I want to be. 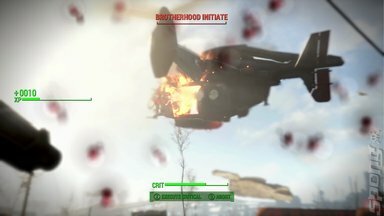 Nothing else has really come close to offering the same level of immersion as Fallout. Although the game has a number of problems, none of them were enough to prevent me from feeling fully invested in Bethesda's post-apocalyptic world. No other game has gripped me to the point where it was the first thing I wanted to do when I woke up in the morning. Shower, breakfast? Nah, Fallout. For that reason, it has to be my game of the year. 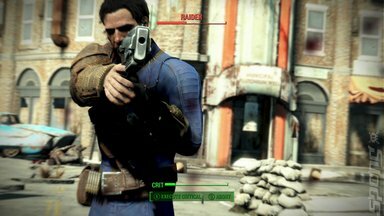 James reviewed Fallout 4 for SPOnG. For more of his take on it, click here. You might also want to give Dark Calls, the podcast in which he tackles Dark Souls under the tutelage of fellow SPOnGer David Turner, a listen.